As Don Chen prepares to take the lead at the Surdna Foundation, he’s got the distinct advantage of having worked with the $1 billion, century-old family foundation throughout his career, as both a grantee and a philanthropic collaborator. First, as a prominent smart growth advocate and then a leading grantmaker for equitable urban development at the Ford Foundation, Chen has had a close-up view of Surdna’s evolution into an influential and ambitious social justice funder. The kind of funder, it turned out, that could even lure him away from his esteemed spot at Ford. 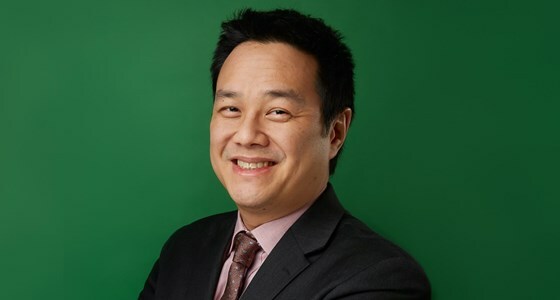 Surdna recently announced that Chen, currently director of Ford’s Just Cities and Regions team, will take over as the foundation’s president following Phillip Henderson, who has helmed the foundation since 2007 and announced he would step down late last year. Chen will leave one of the country’s largest philanthropic institutions (Ford has assets of more than $13 billion), to take over a foundation that’s smaller, but highly influential in its own way—within its chosen interests and its role as a leader in the sector. In Surdna, Chen says he saw a perfect fit in mission and approach. “When I was a grant seeker, I pursued many of the same types of social change, and my theory of change is certainly that we need to address problems not just with fixes, but real, long-term structural solutions,” he says. Chen’s still wrapping up at Ford, but he told us a little about what he’s most proud of in his time there, how Surdna fits into his career, and his eagerness to focus on racial justice in his new position. Chen’s interactions with Surdna date back to the 1990s, when the foundation played a formative part in his career by backing an energy and equity roundtable in the aftermath of President Clinton’s BTU tax proposal. He was working at the Surface Transportation Policy Project at the time. “It was at that meeting that I met a lot of the people who I ended up working with over the course of my career,” he says. Surdna also funded organizations he worked for throughout his time as an advocate for environmental justice and city sustainability. When he founded the influential advocacy network Smart Growth America in 1999, Surdna provided seed funding and core support. SGA was Chen’s biggest claim to fame in his advocacy work, during which he became a prominent thought leader on the impact of transportation and land use on the environment, and equity in communities. He’s written and co-authored several articles and books on related topics, and set in motion campaigns and organizations that continue today. During this period, Surdna was being run by Edward Skloot, the foundation's first president, who led its transition, hiring the first professional staff from outside the family. Since 1917, Surdna has been the philanthropy of the Andrus family, descendants of businessman, investor and U.S. Congressman John Andrus. That strong family involvement is one of the biggest differences Chen will face when transitioning over to Surdna, but one that he's excited for. In 2008, Chen decided to depart SGA and try his hand at funding, starting as a program officer at Ford and then a director. There, he led a number of initiatives, including work on the creation of the U.N.’s Sustainable Development Goals, land use in Flint and Detroit, and formation of the new consortium Funders for Housing and Opportunity. Chen’s credited with generally elevating the importance of and expanding support for housing affordability in the philanthropic sector. In his time at Ford, Chen says he’s particularly proud of the work his team did on land use, and understanding the importance of ensuring that communities have a say in development of land and its assets. “Understanding the mechanisms by which communities can exercise decision-making… and some control over their destiny, has been really important, and has been one of the things I’ve really valued at Ford,” he says. That includes Ford’s seed support for the Center for Community Progress, which evolved in part from a campaign Chen helped launch while at SGA. Ford has also been a big supporter of the community land trust movement in the United States, helping residents gain collective ownership of land. Whether through such grantmaking in the U.S., India, or several African countries, Chen says a big theme in his work has been providing assurance that residents can remain in their homes without fear of violence, disruption, or displacement. “It’s a blend of understanding how people build power and influence in their communities, and also the technical aspects of land regulation, land rights, and those types of things,” he says. During Chen’s time at Ford, the foundation also partnered a lot with Surdna, generally operating as equals in the United States with some give and take on strategies, he says. It was also during this period that Phillip Henderson took over at Surdna, leading a realignment of its programs to operate with a more explicit lens of social justice. The foundation currently has three programs—Sustainable Environments, Strong Local Economies, and Thriving Cultures. Surdna also embarked on new strategies like impact investing and has supported the social justice nonprofit and donor communities, sharing lessons learned along the way. “In the last 10 years or so, I’ve seen Surdna really evolve, and I’ve been impressed with the way Phil Henderson has worked with the board and the staff to make it a foundation that’s much more explicitly focused on social justice,” Chen says. While he says it’s too soon to get into specific plans for his tenure at Surdna, Chen does believe we’re at a point in history when institutions that advance social justice are under attack, and foundations need to be bold. It’s also an important moment in the fight for racial justice. That’s something that’s becoming increasingly clear to many in the sector, he says, both in terms of outcomes and the systems that create those outcomes. He’s particularly interested to learn how family foundations have been addressing race and ethnicity in their work and their networks. Chen is the son of Chinese immigrants and will be among the first Chinese-Americans to lead a major national foundation.